Recruiting and keeping church givers and volunteers is harder than it used to be. People keep saying it, so it must be true, right? If I was ever tempted to tell pastors to quit whining about something, this is it. Here’s how the party line goes: It used to be fairly easy to get church members to commit to consistent giving and/or volunteering. Ask for a missions or building pledge, and people would do it. Mention the need for Sunday School volunteers and folks would commit every week for decades. Are people not as committed as they used to be? Have we all become that unreliable? I say no. People are as committed as they’ve always been. They just commit in different ways now. Unhealthy churches whine about those changes. Healthy churches adapt to them. As pastors, it’s our job to find out what people will commit to, give them the chance to step up, then build deeper commitments on that foundation. A lot has been written about whether-or-not short-term mission trips have value. Certainly, some of them have become vanity projects for spoiled westerners who vacation in a poor country to ease their conscience. But that’s not been my experience. I’ve seen believers of all ages make massive commitments of their time, energy and finances to bless people from the sewers of Bucharest, to an orphanage in Zimbabwe, to the streets of Los Angeles. That’s how people commit today. In chunks of time and/or money. A wise leader won’t berate them for that. Instead, if they want to commit in chunks, let’s give them chunks to commit to. Then leverage that experience into long-term, consistent giving. When I was a kid, the idea that a church member would burn up their entire vacation time going on a missions trip was unheard of. Today, it’s standard fare. It’s not lesser commitment, it’s just different. People don’t give to projects as much as they give to people. People in need. People they know. People they trust. People who lead by example. 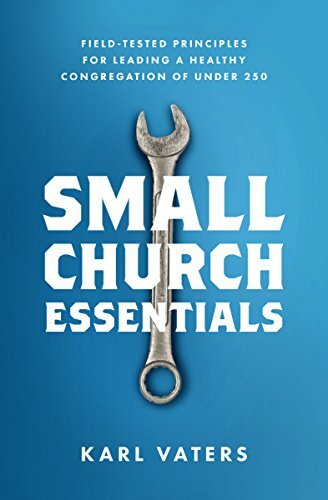 This is an area where small churches and their pastors can really excel. Instead of complaining about our lack of resources, we should be capitalizing on our relationships with congregation members. When we know people, we can help them coordinate their gifts, schedules and personalities to meet specific needs and commitments. Don’t just ask people to fill a preexisting cubbyhole. Take the time to match the person to the need in a way that works.